Hunter Handmade is founded in the belief that dog beds should be well-made and built to last. We have had too many beds chewed up and taken apart within an hour after bringing them home! After 35 years of dog ownership, we were fed up with the options available. We started to evaluate all the elements that make a good dog bed & came up with a formula to craft Hunter Handmade dog beds. 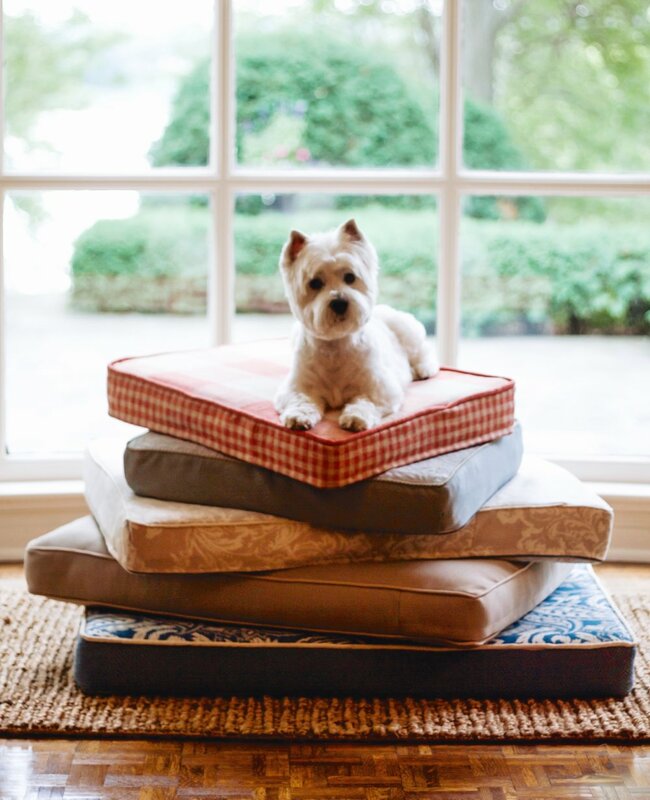 Simply durable, beautiful, supportive dog beds. Crafted by us, delivered to you.